Despite PA chair's enmity, his brother who lives in Qatar chose to get cancer treatment in Israeli hospital, in latest of surprising trend. 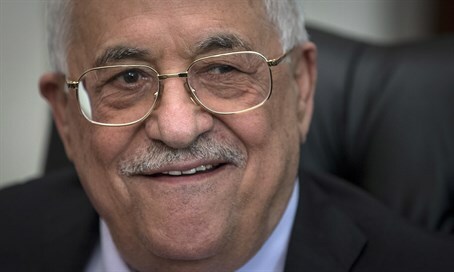 Even as Palestinian Authority (PA) Chairman Mahmoud Abbas continues to attack Israel and incite terrorism, his brother Abu Luay chose to receive treatment at none other than an Israeli hospital. Abbas' brother was hospitalized at Assuta Medical Center in northern Tel Aviv, as Yedioth Aharonoth exposed on Wednesday morning. Abu Luay, who lives in Qatar, came down with cancer. He decided specifically to come to the Tel Aviv hospital for treatment, where other family members of Abbas have been treated in the past. The hospitalization of Abbas' 76-year-old brother has been kept secret, partially out of patient confidentiality matters, but also partially due to security and diplomatic factors. However, on Wednesday morning the matter was revealed to the public in the report. According to the report, Abu Luay completed his treatment at the hospital and has returned to his home in Qatar, but he is expected to return to Israel for continued treatment in the coming days. This isn't the first time the PA chairman's family members have enjoyed Israeli treatment. Abbas' wife was treated at the same hospital back in 2014, and his brother-in-law was also treated at Assuta just last October. Abbas is not the only hostile Palestinian Arab leader to have his family members receive treatment in Israeli hospitals either - the leader of Hamas, Ismail Haniyeh, has had numerous relatives treated in Israel even as he actively works to destroy the Jewish state. Haniyeh's daughter was treated in Tel Aviv's Ichilov Hospital in October 2014, less than two months after Hamas's latest terror war on Israel, as was his mother-in-law that June and his granddaughter in November 2013. After Haniyeh praised the murder of a three-month-old girl in Jerusalem by an Arab terrorist later in October 2014, then-Foreign Minister Avigdor Liberman (Yisrael Beytenu) hinted Haniyeh's daughter would not be given medical treatment in Israel again. However, just two weeks after that, it was confirmed that senior Hamas leader Moussa Abu Marzouk's 60-year-old sister was allowed into Israel for cancer treatment.